Krill oil basically comes from krill which are tiny creatures (oceanic creatures) having size < 2.25 inches in length. The krill is a substantial source of omega 3 fatty acids. Krill oil is mainly used as a food supplement for omega 3 fatty acids. 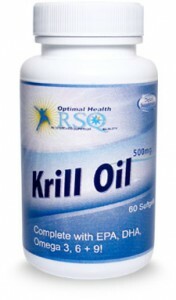 Krill oil offers large number of benefits having positive benefits. The benefits of krill oil are not limited. Large number of benefits is associated with heart because a body does not have a mechanism to produce these fatty acids itself. It is an important sustenance source for the baleen whales. Some kinds of fish produce it in abundance. Krill oil with omega 3 fatty acids reduces blood pressure and lowers bad cholesterol. Regarding composition and design, fish oil and krill oil have similar properties. Both can be taken up to 1600 mg per day. Readings of bad cholesterol can be reduced up to 37 percent as compared to those people who take placebo. Symptoms of diabetes and premenstrual syndrome are reduced by using krill oil. Product “krill oil” not only contains omega 3 fatty acids but it also contains an antioxidant called astaxanthin which works to provide protection from the free radicals. This substance can harm the body in many different ways. This antioxidant provides red color to crustaceans and the krill. Apart from many benefits some side effects are also associated with krill oil. As a dietary supplements should be taken after proper consultation with a physician. For example if people take blood to thin their blood, in this case omega 3 imparts undesirable side effects. Krill oil should be avoided in case if someone have fish allergy. People having bleeding problems should also avoid using krill oil. Other side effects include indigestion, diarrhea and loose stools. Proper advice from a registered medical practitioner is necessary.